Everybody loves pancakes, right? These are quick and easy to make – fab as a healthy breakfast with fruit and yoghurt and great with peanut butter and/or jam for marginally less healthy start to the day! 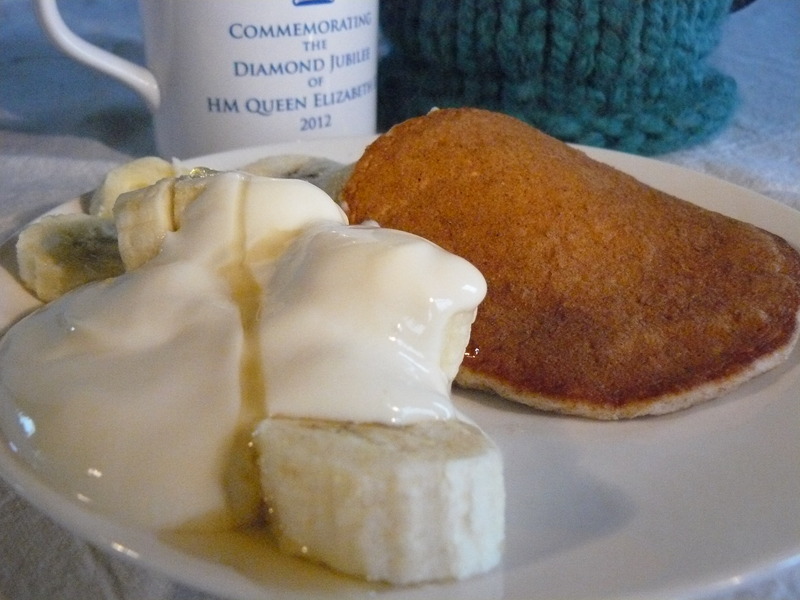 It’s Shrove Tuesday today – aka Pancake Tuesday (aka Day of Joy on a Plate!) but you can eat these anytime. They’re slightly sweet so they’re not for savoury dishes (well, you can try if you like – do report back on how it goes!) Also, because they have sesame seeds and a little bit of sugar in them, keep an eye on them when they’re cooking or they could turn into crispy pancakes in a heartbeat. 1 Buzz the sesame seeds with a stick blender to break up the husks. 2 Place all of the ingredients except the vegetable oil in a large bowl and mix together well. 3 Heat a frying pan over a medium heat then add the oil, spreading it evenly across the base of the pan. 4 Use a ladle to spoon the mix into the pan – you should be able to cook a couple of pancakes at a time. 5 Cook for about 2 minutes on one side then flip over. Cook until both sides are golden brown. great ideas for all of my vegetarian friends that are both cooking and internet savy. thank you! Looks really delicious to me. Hope to have it one day. Thanks for sharing. Vegan desserts are all the rage, but this is the best vegan pancake recipe I have seen. Definitely going to give it a whirl!